Propane powered forklift for slab or solid surface use only. Lifts to 15.5', requires 46" x 86" access clearance. Max. Capacity - 4800lb - Refer to data plate for load specifics. 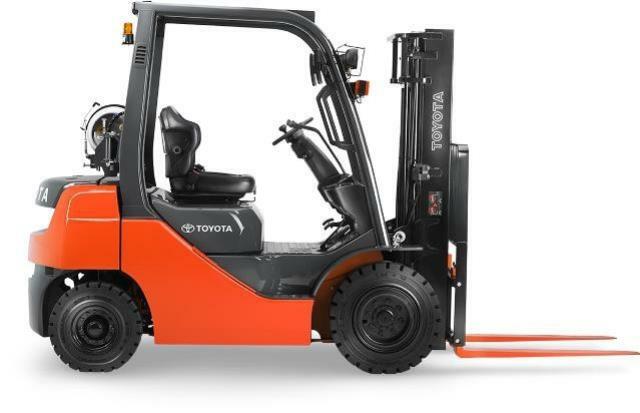 * Please call us for any questions on our forklift 4800lb cap. df rentals in Calgary, Alberta.